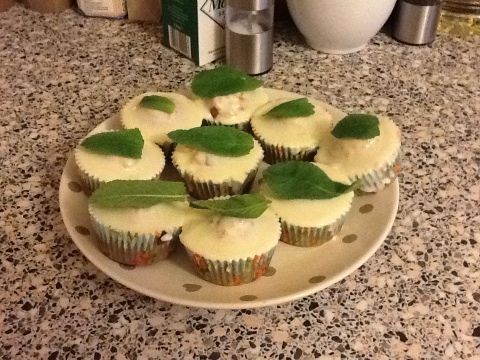 Yep you read that right, mojito cupcakes. Cupcakes and mojitos, two of the tastiest things ever invented, combined in a delicious little cupcake. There is a god! This recipe shamefully did not come from one of my many cookbooks, but from another blog (when needing foodie comfort, if I don’t have a new cookbook to perv over, I turn to the food blogs) called OMG Cupcakes. Check it out, although don’t forget Neglected Cookbooks over here alright? Like any sane person, I love cupcakes and I definitely love mojitos, I’ve even been awarded a nickname by some over my love of the cocktail, so naturally when I saw this recipe I knew I had to try it. The first time I had a mojito I was in Cuba, and I’ve never had a better one since. But this is how it should be, as Cuba did invent the divine drink. Sadly, after that little taste of heaven, the hotel ran out of rum. For the entire duration of our holiday. I know, we thought it was fishy too, a Cuban hotel running out of a national drink, but what can you do? Perhaps this was the staffs revenge for rude tourists (there were a lot of them) speaking very bad holiday Spanish. Anyway, Cuba set off my love affair with the minty mojito and I am happy to say I am still very much in love. The cake itself is your usual plain sponge with lots of lime juice and zest grated in. 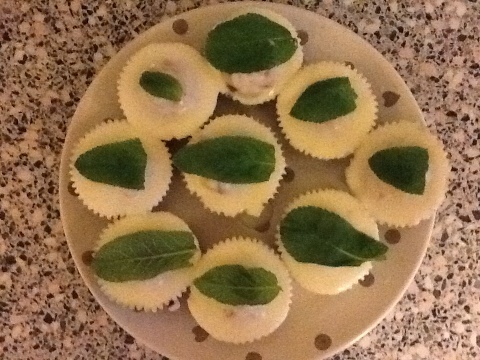 Once cooked and cooled, a little chunk of cake is scooped out the top to be replaced by a dollop of lime curd (I couldn’t find lime curd so had to make do with lemon), and then the cakes are topped with a rum and mint cream cheese topping and garnished with a mint leaf. You’ve got all your staple mojito ingredients right there in a cupcake: lime, mint, rum and sugar. And instead of a mixer, you have cake mix, what could be better? I will confess though, that although I would always rather use proper ingredients instead of synthetic substitutes, I couldn’t bring myself to buy a whole bottle of rum for the small amount needed, so bought rum flavouring. I know, I hang my head in shame. But I honestly couldn’t tell the difference and the icing still packs a punch. I should have more wild house parties so I always have whatever alcohol I need for baking! These cupcakes are delicious, and really do taste like a mojito. I really wanted to pipe the icing onto these babies, but I couldn’t get the icing thick enough and it just leaked out the piping bag, so they don’t look as pretty as I’d like, but they sure do taste good. It should be noted that these cupcakes definitely aren’t for kids, and if they tasted one I think they’d hate it, which in my eyes makes them all the more attractive. None of those pesky kids eating them all up before the grown ups even get a look in. They wouldn’t appreciate the zesty sponge, gooey and tart curd, and sweet cream cheese icing with a boozy smack in the face. Make them, eat them, and remember who told you about these genius cupcakes. I do accept cheques. PS: Don’t forget to check out OMG Cupcakes for the recipe if you want to give them a go.